The Parramatta River is a waterway in Sydney, New South Wales, Australia and is the main tributary of Sydney Harbour. The River extends from Blacktown Creek in the west to the confluence of the Lane Cover River in the east. The Parramatta River Catchment Group (PRCG) is a regional organisation of local councils, state agencies and community representatives whose aim is to work together to improve the health of the Parramatta River catchment. Show your support and help make Parramatta River swimmable again by going to www.ourlivingriver.com.au and voting for where you want to swim. The PRCG is undertaking an exciting new project which will assist in expanding, restoring and managing the extent of native habitats in the Parramatta River catchment. Click here to find out more. 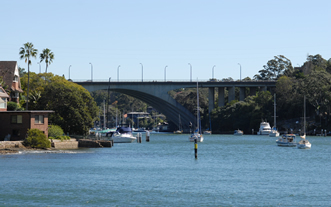 A long term Plan has been developed for the Parramatta River estuary, which guides councils and other major land owners in collectively managing the health of this important and iconic waterway. Click here for more information. A community profile of the Parramatta River catchment has been developed to give an insight into the social and cultural aspects of the catchment. Click here for more information. A total of 10 PRCG members councils are now part of this exciting four year project including Ashfield, Auburn, Blacktown, Burwood, Canada Bay, Holroyd, Leichhardt, Parramatta, Ryde and Strathfield. This project, an initiative of the Hawkesbury Nepean CMA, will provide an over-arching Plan for Sydney Harbour, including the Parramatta River tributary, by identifying measures to improve water quality. For more information click here. The world’s first online collaborative documentary Thirst was made by Western Sydney community members. This visually stunning documentary explores the role and meaning of water for a variety of cultures in Western Sydney. The documentary was created online by Western Sydneysiders and directed by AFI award winning documentary maker, Sascha Ettinger Epstein. Click here to see the film. The Parramatta River Brochures and Walking Maps provide a detailed route along the Parramatta River foreshore as well as notes on places to eat, historical sites and other points of interest that can be viewed along the way. What better way to see some of Parramatta River’s hidden gems than to utilise these maps and explore the area on foot! These maps can be found at tourist centres and can also be downloaded as ipad and iphone applications, making it even easier to get out and enjoy the beautiful foreshores of Sydney. Why are trees in Western Sydney dying? Many of the native trees in Western Sydney are losing their leaves due to the outbreak of a sap sucking insect known as a Psyllid. Click here to find out more. The PRCG has recently launched the Our Living River initiative, to make Parramatta River swimmable again by 2025. 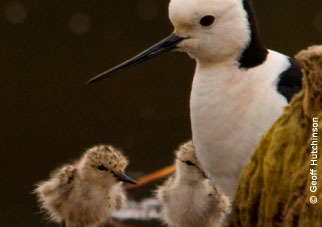 Please show your support for this new mission, by logging onto www.ourlivingriver.com.au and voting for where you would like to swim. Encourage your friends and family to vote too!